GoldWave portable is is a top rated, a comprehensive digital audio editor. 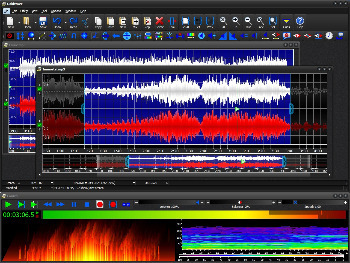 GoldWave is ideal for people who work with audio for CD editing, archive restoration, speech analysis, radio and TV, Java and Web pages, games, or just for fun. You can use it to make everything from elaborate answering machine messages to professional, high quality CD audio content.